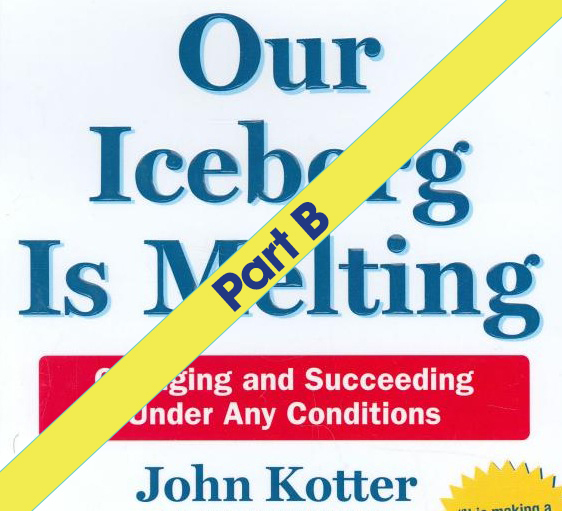 In today episode, Val Lewis and I continue with our discussion of change management by reviewing the book “Our Iceberg is Melting” by John Kotter. Change management is simplified when you take the necessary steps. First reading John Kotter’s book “Our Iceberg is Melting” and second listening to this podcast. The book is quick and easy to read and incredibility insightful. In a fun and lively manner, we focus on the last five steps of John Kotter’s Eight Step Process of Successful Change and discuss the role of Thinking and Feeling. The fable is about a penguin colony in Antarctica. A group of emperor penguins live as they have for many years then one curious bird discovers a potentially devastating problem threatening their home—and pretty much no one listens to him. The characters in the story, Fred, Alice, Louis, Buddy, the Professor, and NoNo, are like people we recognize—even ourselves. Their tale is one of resistance to change and heroic action, seemingly intractable obstacles and the cleverest tactics for dealing with those obstacles. It’s a story that is occurring in different forms all around us today—but the penguins handle the very real challenges a great deal better than most of us. 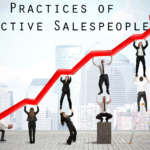 During this episode, Val and I review the last five steps of John Kotter’s Eight Step Process of Successful Change and the role that Thinking and Feeling play in behavioral change. Below is an outline of the last five steps as well as the roles that Thinking and Feeling play with behavioral change. Press harder and faster after the first successes. Be relentless with initiating change after change until the vision is a reality. • Collect data, analyze it. • Present the information logically to change people’s thinking. • Changed thinking, in turn, can change behavior. 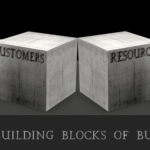 • Create surprising, compelling, and, if possible, visual experiences. • The experiences change how people feel about a situation. This is the last of a two-part podcast on change management. The introduction to this two part series is MOB 5A and you should to that show, if you have not done so already.